Project Learning Tree – Creating Connections to the Amazon and Your Classroom! 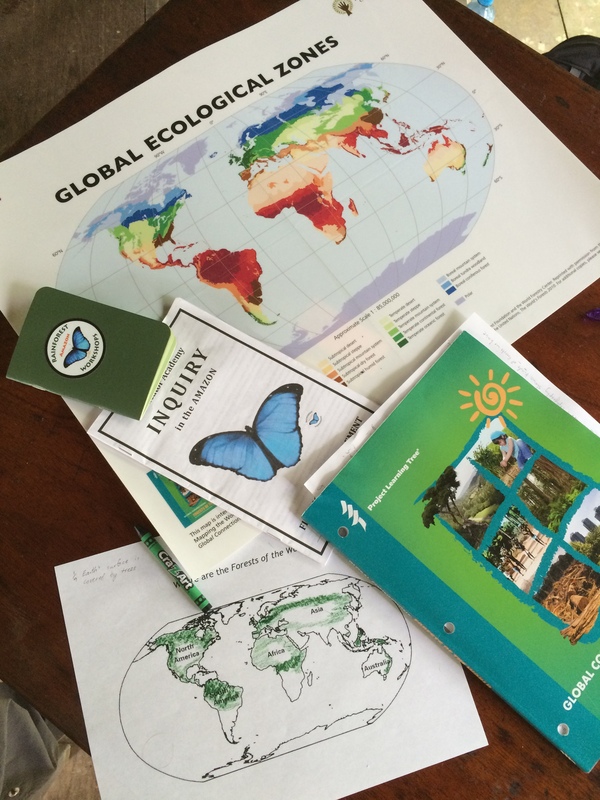 We are so pleased to include Project Learning Tree and their Forests of the World and EE Activity Guide activities as part of our Annual Educator Academy in the Amazon. Here’s an inside look on how our faculty and past participants are using PLT to make connections! For any PLT fans that have met or worked with Al, you know he epitomizes what it means to be an experiential learner – embracing every day, every activity, and every global adventure with endless energy, enthusiasm, and curiosity. Now that he has ‘retired’ from PLT, he hasn’t slowed down one bit. He travels the world promoting environmental education, green schools, and school gardens. To say he is inspiring is an understatement! We caught up with Al in between his travels and asked him to share his take on place-based learning, Project Learning Tree (PLT), and his experience in the Amazon these last few summers. It seems that place-based learning is all about forging connections. We all have different ways of forging connections to people and places. How do YOU connect with a new place? What things do you do that help you get a sense of things? Do you have “touchstones” that you seek out that help you make connections and gain perspective? Project Learning Tree (PLT) uses forests as a window for understanding larger environmental issues and aims to actively engage students in solving problems and making a difference. How do PLT activities help students move beyond factual awareness and into the realm of appreciation, wonder, and action? You recently wrote a book about forests and included a chapter on the Amazon. Last summer you finally got to visit the Amazon in person. It was obvious that you were in a perpetual state of wonder. Did you gain any new perspectives? We were so excited when Al joined our faculty in 2013 and thrilled that he has been with us ever since! Jennifer Richardson is a champion of environmental education in Arkansas. As a classroom teacher, she used PLT with her fifth graders and led many school-wide greening efforts, including recycling, composting, and developing a nature trail. Jennifer joined us in the Amazon in 2013 and did an amazing job of using PLT and the Amazon to bring a global perspective to her classroom! 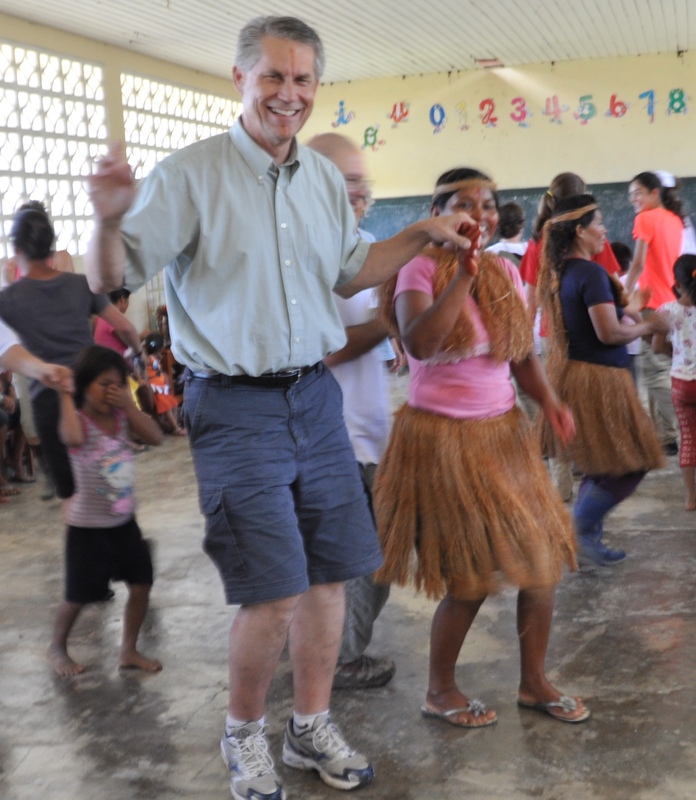 In 2013 I traveled to Peru to participate in an Educator Academy in the Amazon Rainforest. It was a life-changing adventure that provided me with a global perspective that really enhanced my teaching. The experience helped me create awareness amongst my students about the connections between our local environment and the rainforest, and the effects of deforestation in the Amazon both locally and globally. • Activity 21, Adopt a Tree – Students have adopted a tree on our nature trail which they will compare to trees in the Amazon. • Activity 10, Charting Diversity – Students compare Arkansas’ native plants and animals to those found in the rainforest. • Activity 15, A Few of My Favorite Things – Students investigate what things they use every day that come from the rainforest. • Activity 17, People of the Forest – Students learn how forests provide local people with their basic needs, and they also learn about the Yagua tribe we visited with in the Amazon. • Activity 22, Trees as Habitats – Students learn how plants and animals depend on trees, and I share my pictures from the Amazon to illustrate examples of how trees provide homes for the animals in the rainforest. • Activity 28, Air Plants – Students connect the importance of the trees of the rainforest to oxygen production for the whole world. As a result of these lessons and sharing my firsthand experiences, my students wanted to learn about actions they can take to help save the rainforest and ways to support the local people who depend on the rainforest for their livelihood. They were so excited when I announced they would get to participate in EcoFest, an annual community outreach event in Conway, Arkansas that educates people in our community about ways they can live a more sustainable life. Students in the 4th and 5th grade Environmental Science Club conducted research and prepared facts cards for a booth that showed the global effects of deforestation in the Amazon. They created pledge sheets and a collection jar to raise money to help support a local rainforest school! Now that’s the kind of transferable learning and teaching we like to see when participants return from the Amazon! Kirsten has joined us in the Amazon not once but twice and has been a real advocate for the transformational impact of the Educator Academy in the Amazon! 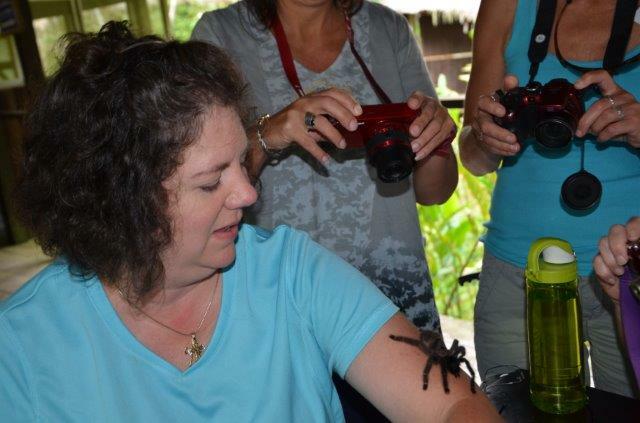 After my first visit to the Amazon with the Educator Academy in 2015, I was inspired to take a PLT Facilitator’s training because, as a Teacher On Special Assignment for science and common core support, I wanted to be able to offer the training to teachers back in my district. So far, I have provided training to TK/K teachers on the Environmental Experiences for Early Childhood, which was received very well. Teachers felt it would support their FOSS unit on Trees and they loved all of child-centered, integrated activities. I have a lot more trainings in mind and can’t wait to continue to share PLT with my school and district colleagues. But there’s more! I was so inspired by my personal experience in the Amazon in 2015, that I decided I needed my colleagues to share just how powerful this PD experience was. I put together a group of four K-5 educators from our school district and together we joined the 2016 Educator Academy! This year, I am back in the classroom as a fourth grade teacher and I am incorporating PLT lessons to support science inquiry and outdoor learning for my grade level. Some activities we have done so far are “Sounds Around” and “Schoolyard Safari” as part of some initial explorations of the schoolyard habitat. The activity “Then and Now” will help us with an up-coming school-wide “Elders’ Day” project where all of the classrooms interact with elders in the community in some way. We will interview our elders about how the environment in our community has changed. As we go deeper into our watershed studies, Activity 48, “Field, Forest, and Stream”, and Activity 61, “The Closer You Look”, will help us collect some baseline data on a creek that runs along the backside of our campus. This baseline data will be important as we work with environmental education partners to develop better access to the creek for all students at our school. Finally, Activity 96, ” Improve Your Local Place” will be part of our efforts to enhance and create wildlife habitat on our campus. I am continuing to work on my site’s and our district’s K-12 Environmental Literacy plan, so PLT guides are part of the resources that will be listed for teachers to consider. 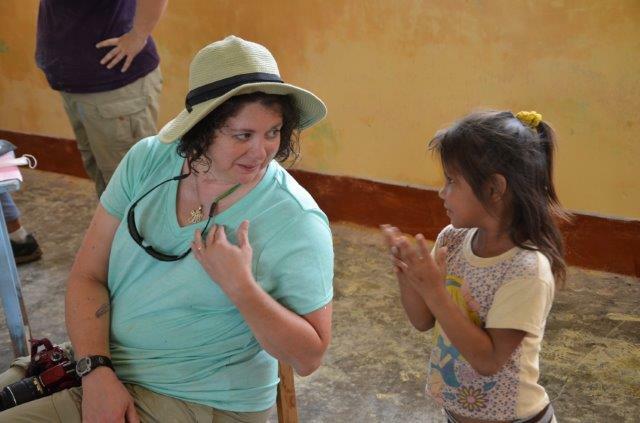 We are thrilled to have Kirsten as an adjunct faculty member of Educator Academy in the Amazon. Her new passion for PLT, combined with her extensive knowledge about NGSS, and in-classroom experience will be a real asset to the program! 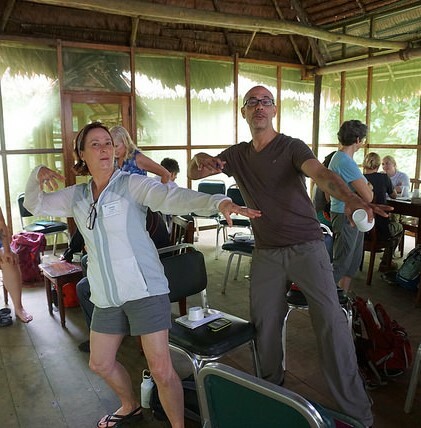 If you’d like to experience PLT in the Amazon and transform your teaching, we’d love to have you join us! 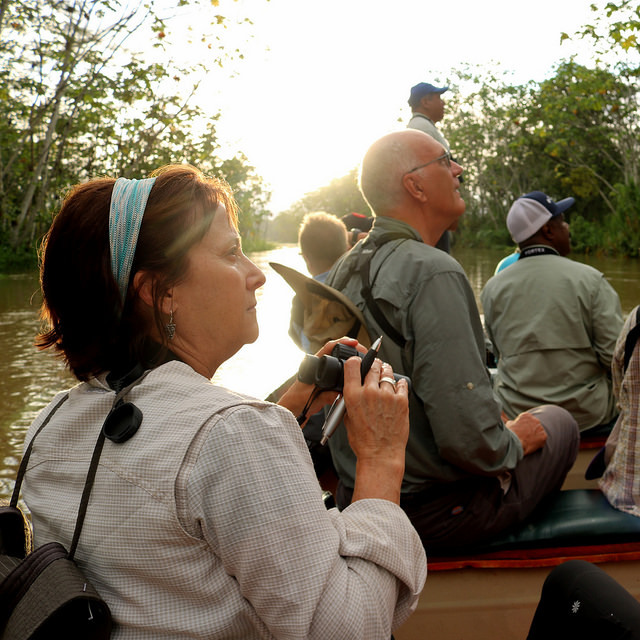 The Educator Academy is held in the Peruvian Amazon July 1-11 each year. ← Girl Explorers Rock it in The Amazon!